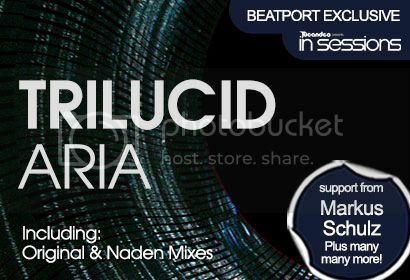 Trilucid - Aria [In Sessions] | OUT NOW! 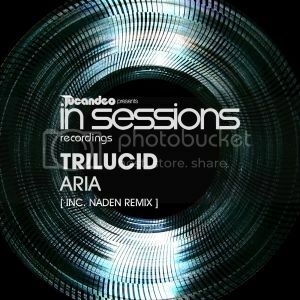 Thread: Trilucid - Aria [In Sessions] | OUT NOW! Continuing its ever impressive string of releases, the ever faithful In Sessions label from the Tucandeo boys unearths yet another true electronic gem. This time around it comes from Trilucid, who returns with the lush sounds of ‘Aria’. A deep, atmospheric and emotive cut, which is sure to hit that sweet spot with every DJ and clubber. With its cool, playful hook, warm bass and plucky groove, it has everything you need to keep your crowd hooked and wanting more. On the flip Naden delivers an equally inspiring cut injecting his much loved sound, yet keeping that soulful melody from the original. It’s the perfect complement and alternative in this package.